We have the power to do so much. In 30 years, the world’s population is estimated to grow ahead of what our food supply can support. IBM Watson IoT analyses a variety of data like temperature, soil pH and other agricultural and environmental factors to give farmers insights that can help them make better decisions – and harvest greater yields. The aviation industry is working with IBM to put decades of maintenance insight at the fingertips of employees. Using Watson technology to cross-analyse various data – including previous problems and successful solutions – maintenance personnel can help diagnose problems faster and with more confidence, creating smoother flights. The business model of the automotive sector is reversing, with consumers shifting from passive recipients to active participants. With IBM Services, automotive companies can evolve from defining what types of vehicles they produce to responding to market demands and creating entirely new products focused on driver experience. Banks are harnessing omni-channel customer behavioural data to predict their unique needs and proactively support their journeys. With IBM campaign tools like Watson Campaign Automation, financial institutions can shape interactions that are relevant to each customer’s needs, transforming customers' experiences and driving operational efficiency. Let's put smart to work. Learn how new technologies are changing banking. Disruption in the utility sector means consumers have more choices than ever, so utilities must become more predictive to anticipate consumer needs and address them early. IBM Industries helps utilities engage with customers by analysing real-time energy usage, demographic, behavioural and psychographic data, so they can tailor personalised programs to increase retention. And by using IBM Global Business Services, utilities can follow a cloud-first strategy that minimises their physical footprints and data centres. Rampant poaching in South Africa is threatening the extinction of rhinoceroses. In response, rangers are putting IBM Watson IoT sensors on zebras and impalas — who run when threats are near — to help locate and capture poachers. Demand for STEM expertise is climbing, yet graduation rates are in decline. Pioneered in the US, Pathways in Technology Early College High Schools (P-TECH) are innovative public schools spanning grades 9 to 14 that bring together the best elements of high school, college and career. Within six years, students graduate with a diploma in applied science, engineering, computers or other competitive STEM discipline, along with the skills and knowledge needed to continue their studies or step more easily into high-growth 'new collar' jobs. Consumers expect fast delivery, but paper-based processes burden the shipping industry. Removing these inefficient practices can help make the supply chain faster, more trustworthy and more efficient while supporting security. IBM is working with transportation companies to use blockchain solutions that give greater visibility into millions of container journeys each year while accelerating the shipping process by eliminating paper documents. Government leaders are under pressure to digitally transform. Citizens seek the same convenience and personalisation they get from the on-demand economy, and elected officials demand more operational efficiency, transparency and physical and cyber security. Technologies like IoT, AI, blockchain and advanced analytics can modernise and transform working methods. Learn how IBM is helping the Australian Federal Government use emerging technologies to benefit its citizens. Developing a single medication can take more than a decade, and only one in 10,000 medicines actually makes it to market. To accelerate their research and find new ways to develop medicines, scientists are working with Watson for Drug Discovery. By analysing massive amounts of data it can help them make unforeseen connections sooner. The pressure to innovate and control costs has never been higher for the insurance industry. Executives have to navigate a stream of technical advances to determine which can provide return on investment, low ownership cost and data security, while meeting customer expectations. Insurers can innovate, modernise and fulfil regulatory requirements by using IBM industry platform solutions with insurance analytics, AI and cloud models. In modern industry, people, processes and machines have the ability to adapt in real time. IBM is ushering in this new era with cognitive manufacturing solutions that transform the value chain beyond the factory walls. IBM helps manufacturers prevent problems and maximise uptime by optimising supply chains, improving the quality of manufacturing processes and gaining real-time visibility to maximise throughput. See a smart factory in action. Two of the world’s most valuable resources are fossil fuels and data, and for oil and gas companies the two are intertwined. Petrochemical engineers have to rely on historical context and procedural information, but every time an expert retires their knowledge leaves with them. 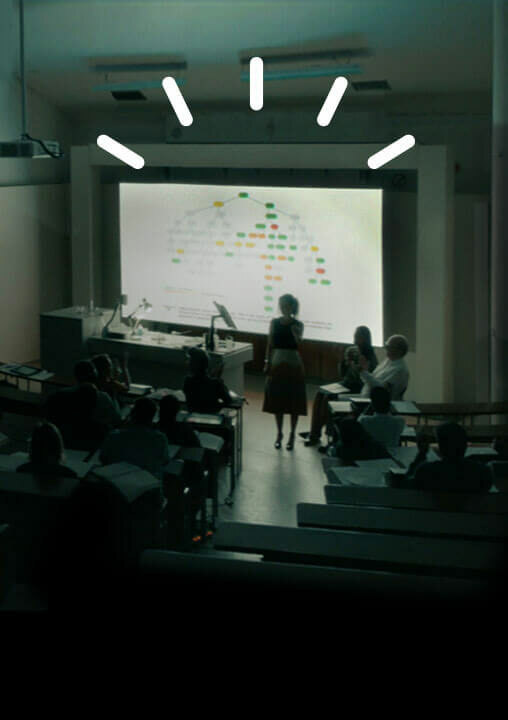 To preserve decades of collective wisdom and make it available throughout an organisation, IBM Watson built an AI system that learns staff's natural language and captures critical knowledge, ensuring institutional knowledge is preserved and propagated. In retail, supply processes can affect everything from customer satisfaction to profits, and even personal safety. But many retailers don’t have full visibility into their supply chain, so they struggle to uncover the insights they need. Technologies such as IBM Blockchain, IoT and IBM Watson can help drive supply chain benefits for retailers, including improved shipping transparency, reduced waste and gaining deeper insights into changing consumer behaviours. Telecommunications, media and entertainment business are ripe for a digital reinvention, with huge potential to create next-generation customer experiences. IBM can help these industries make faster, more informed decisions and redefine what’s possible. AI and bots can drive network transformation with automation and modernisation, optimise and personalise customer experiences in real time, and make call centres future-ready. Leading innovators are putting smart to work in their industries. Here’s how. Dr. Elinor Swery is putting smart to work by humanising our experiences with machines. Shelley Kalms is putting smart to work by using digitisation to unlock business intelligence. Louise Mercer is putting smart to work to create trusted global ecosystems of provenance. Nicholas Therkelsen-Terry is putting smart to work to uncover customer insights for businesses of all sizes. Tomer Garzberg is putting smart to work by helping create the workforce of the future. Brendan Sanders is putting smart to work by personalising messaging for more effective communications for customers. Ngaire Tranter is putting smart to work by using AI to help protect our environment. James Gumley is putting smart to work by using AI to make large-scale collaboration more agile. Adrian Cartland is putting smart to work by using AI to make legal information more accessible. Elisa Adams is putting smart to work by helping companies turn behavioural data into business growth. Ian Cameron is putting smart to work to bridge the gap between man and machine. Go behind the code. Hear from developers who use IBM tools and resources to do more for their organizations, explore technologies, and get your hands on code. Go behind the code. Hear from developers who use IBM tools and resources to do more for their organizations.